A big debate when parents first jump into cloth diapering is what brand to buy, or what brands to try out. Fortunately we bought a single brand for Gabe when I was pregnant and they worked great! Our needs and preferences had changed and we ended up selling those diapers, and have had a hard time finding diapers we love lately. Gabe is now 2, is skinny and tall, and super duper active! So many diapers fit him weird. The rise is too short, the waist is too small, the legs don't fit right... there are just so many variables we never dealt with before! I would like to introduce you all to Softbums! This amazing company holds its home right here in Minnesota. 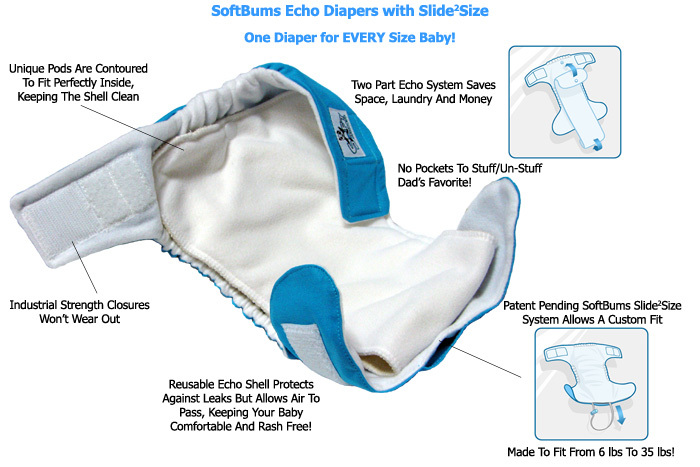 Softbums offers two different types of shells, the Echo and the Omni. Both complete with their signature Slide2Size leg elastic system and fit 5-40+ pounds! The Echo is Softbums AI2 cover. Made to fit ultra-trim, with snug coverage, and more narrow crotch, this diaper (when paired with a bamboo insert -getting to those) is almost as trim as a disposable. This was never a concern for us, but I hear a lot of parents complain about cloth diaper bulk, and the Echo is a great solution if this is an issue for you! The Omni is a double duty shell offering the ability to be an AI2 shell or a pocket. The Omni is also a bit wider cut, making it easier to stuff if you do use it as a pocket, and also a good option for larger or thicker inserts if you choose to use this as an AI2 cover. 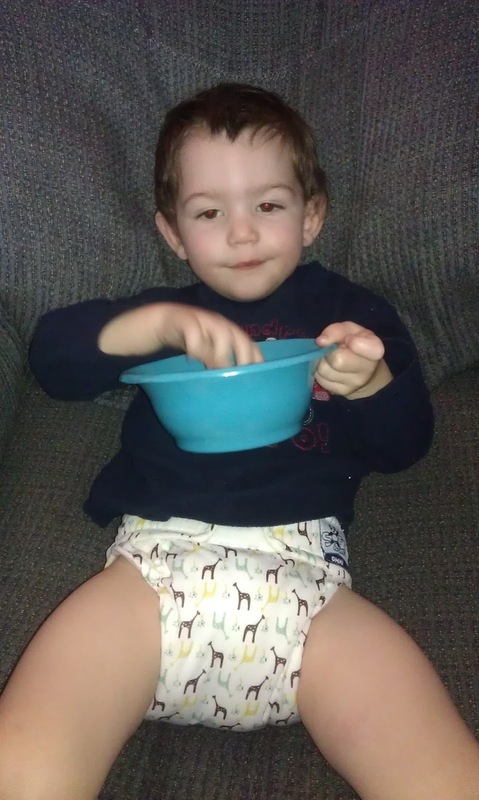 As I mentioned earlier, we have been getting a weird fit with so many diapers lately. My default Flip covers are on the very bottom of our pile now as they no longer fit like they used to. I can make everything work, and I've never had a big problem getting diapers to fit correctly, but Softbums really are like a custom-fit diaper! And that customization grows with your baby, giving that perfect fit from birth to potty training that other cloth diapers can only dream of providing. 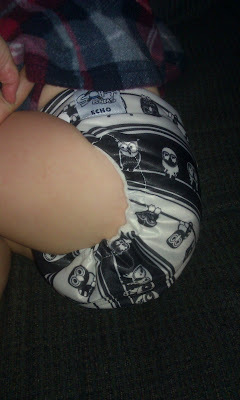 I was sucked into the one-size phenomena while I was pregnant and felt that had to be the way to go when purchasing diapers. 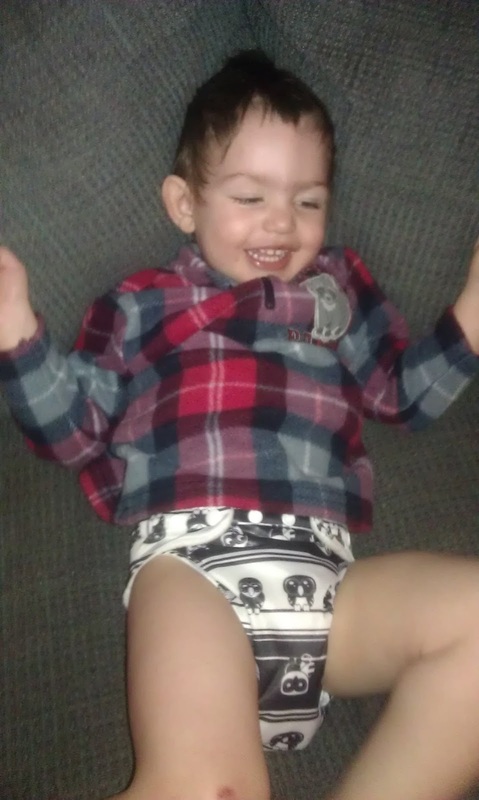 I was lucky (well, in the sense of diapering I guess...) to give birth to an 8 pound baby who fit in some one-size diapers from birth, so I didn't have to go through the headache of a separate newborn stash to supplement the OS diapers until they fit. I am now at the other end of that spectrum, however, where the OS diapers that claim to fit until potty training, are not fitting anymore! I tried both the Softbums Echo and Omni, along with one each of their bamboo one-size pods and their stay-dry microfiber one-size super dry touch pods. We rotated the covers almost exclusively for the past couple months lining them with tri-folded prefolds and the mentioned inserts. 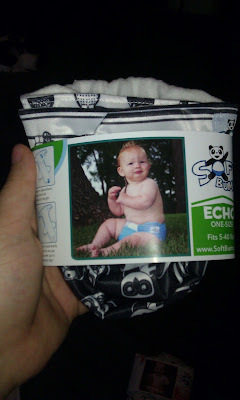 I have to say, I am sad that I had not tried Softbums earlier in our diapering journey. Gabriel is now nearing the end of his diaper days, but Jer and I both agreed that Softbums will be our diaper of choice if we are able to have more children someday due to the adjust-ability of these diapers. Besides always being able to find a perfect fit, the aplix holds up great (ours still looks like new! ), the fleece is very stain resistant, and the fleece doesn't pill easily (ours hasn't at all so far). 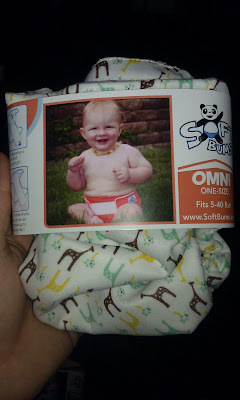 I am very impressed with all of the products of Softbums line we were able to try out. 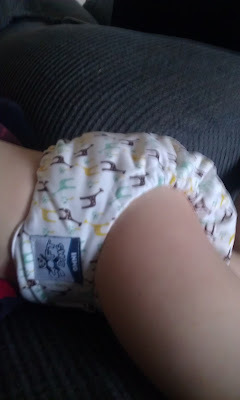 As far as my honest opinion goes, these are now our favorite diapers! They can be a cover, an AI2, or a pocket if you have an Omni shell. 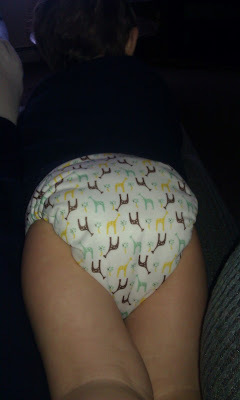 The customization of these diapers is endless, and nearly impossible to NOT get a perfect fit!